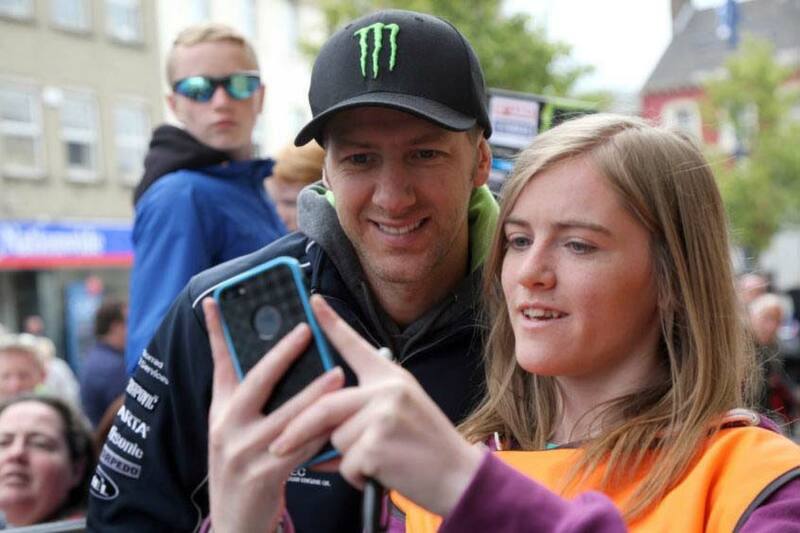 Ian Hutchinson will make his return to road racing at next week’s Vauxhall International North West 200. Honda Racing road’s boss, Neil Tuxworth has confirmed the 38 year old will ride at the north coast event after successfully completing a week of testing and racing. A three times North West winner, Hutchinson broke his left leg in a Senior TT crash last June. The Yorkshireman had the stabilising cage he has worn for the last 10 months removed last week and rode a Honda race bike for the first time at Mallory Park last Friday. He went on to compete in club meetings on Sunday and Monday, winning two races. “Neil Tuxworth has kept me informed over the past week and the team are satisfied Ian is fit and able to make his Honda Racing debut alongside teammate, Lee Johnston.” NW200 Event Director, Mervyn Whyte said. In a separate development, Horst Saiger has broken his wrist in a crash at the 8 Hour world endurance race in Slovakia last weekend and will miss this year’s North West 200. The Kawasaki rider, who made his NW200 debut in 2012, will still visit the races, where a huge contingent of his fans travel each year, but will be unable to compete because of the injury.